Webster Lucas is suing McDonald’s for a lack of napkins after only receiving one at his local restaurant in Pacoima, California, TMZ reported. When he asked for more, Webster Lucas claims he was denied. According to Webster Lucas, who is African American, the manager then made a racially-motivated remark, allegedly saying something about “you people.” The manager is reportedly Latino. After the verbal disagreement, Webster Lucas emailed the general manager of the McDonald’s to say that the incident caused him “mental anguish”, which has prevented him from working. 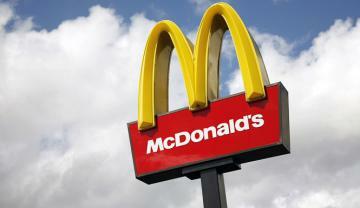 The general manger offered Webster Lucas free burgers, but he instead decided to sue McDonald’s for $1.5 million.